The Ohariu is pretty, quiet and easy to reach. Combined with other well-known cycling roads north of Wellington, and two recreation areas, it can give a great day out on a bike. If you arrive in Wellington by ferry, or stand down at the harbour looking back up at the city, you’ll see a ring of hills all of which make excellent rides of one kind or another. These hills basically go to the west coast, but in between, they’re cut by a deep north-south valley - the Ohariu, which ends abruptly at Makara Peak in the south but continues through Tokoroa Gorge at the north end, so if you don’t mind a bit of gravel you can ride up through the Spicer Forest to Porirua. On the way, an interesting side trip is to visit the Opau “recreation area”, where Meridian energy has kindly given us back access to a small fraction of the countryside they otherwise build fences around. Opau is stunning, particularly Opau Bay, accessible via a steep signposted track from the hilltop. 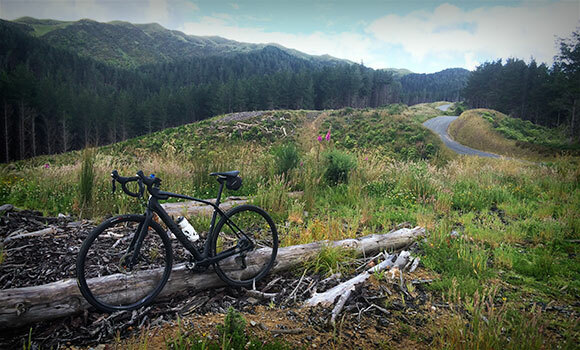 Dodo has done this ride many times; you’re likely to see plenty of cyclists in the Ohariu Valley, a few walkers on the Opau hill, and not a soul in the Spicer. The wind can howl through the Tokoroa Gorge and I do recommend checking the forecast and riding through the Ohariu valley in the same direction. I've described it clockwise here. The most obvious return route to Wellington is via Middleton road to Johnsonville. From central Wellington ride to Karori. At the far (west) end of Karori Rd, turn right onto Makara Road and after the climb to the saddle, test your descending skills all the way to the valley floor where you immediately arrive in Makara village. Press on north to the turnoff for Makara Beach; the surfaced access road to Opau branches off to the left shortly after. The climb is steep and seems much longer than it actually is. Cycle on past the car park on the gravel road, through the gate and carry on round the first hill to the recreation area. There is currently no other way out by bike so you must return this way. 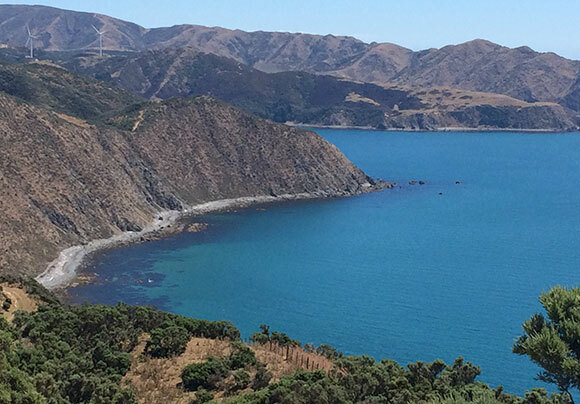 On arriving back at the Makara road you can optionally visit Makara Beach a few km away to the west - there’s not much there, but the small basic cafe is usually open. Ride back to the Ohariu valley road and turn left (north) to climb slowly up to the next village (Ohariu) via Tokoroa gorge. Turn left at the crossroads at the head of the valley. If you need coffee, the Saddleback cafe at the stables 100m along the road does a good brew, but it’s usually only open at weekends. Carry on along the north spur of Ohariu Valley Road for several kilometres until you come to the unmistakable entrance to the Spicer Forest - a very steep gravel road branching off to the right uphill. The climb is short, and the ride along the forest road at the top very rewarding; until you come to the landfill site. I gather there has been some squabbling about the route the cycle path should take through this short section to bypass the landfill, but clearly they didn’t think about it in advance. Last time Dodo rode it (March 2016) diggers were sitting on the track and we squeezed past them; their operators were unconcerned, sitting with their feet on the dashboards reading the paper. The rough track delivers you to the top of a steep footpath between houses, and onto a suburban street in Porirua. It’s an easy ride back to Wellington from there via Middleton Road.